There has been some useful development in HR’s use of analytics over the last few years. 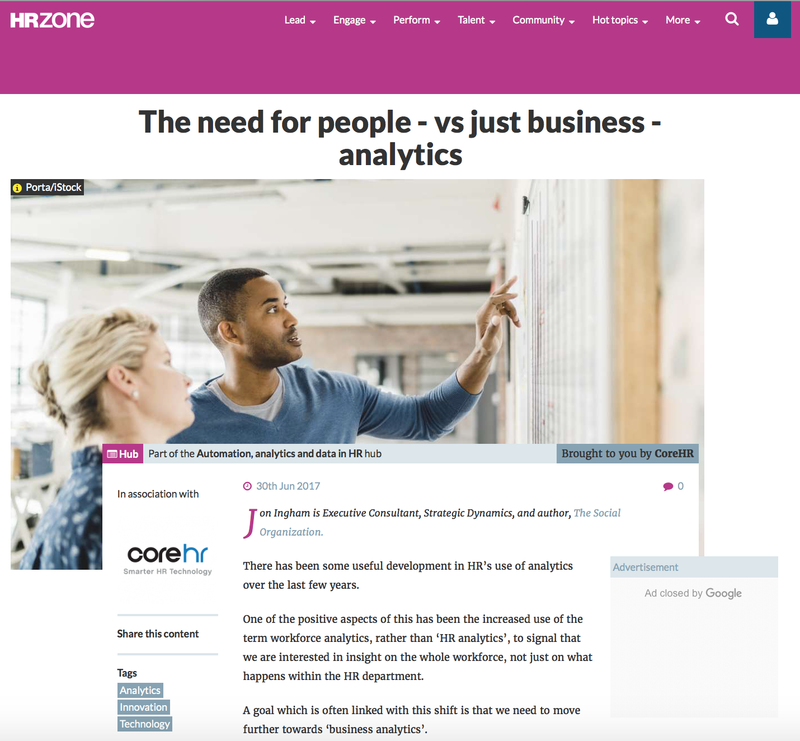 One of the positive aspects of this has been the increased use of the term workforce analytics, rather than ‘HR analytics’, to signal that we are interested in insight on the whole workforce, not just on what happens within the HR department. A goal which is often linked with this shift is that we need to move further towards ‘business analytics’. 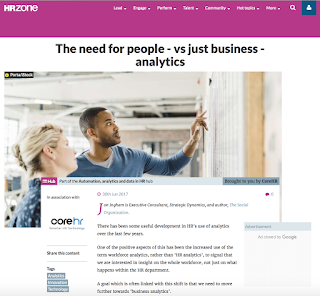 Whilst I support the increasing focus on business I think we also run the risk of missing something vital if all we focus on is HR and the business. Wow!, 2 July 2017. That means it's now been 10 years since I've been blogging here. Any other suggestions for good posts you've read over the last 10 years? 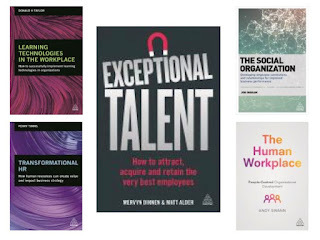 "A complex, serious book brimming with ideas that challenge HR convention, such as reward structures or the concept of organisational values, with genuine panache." 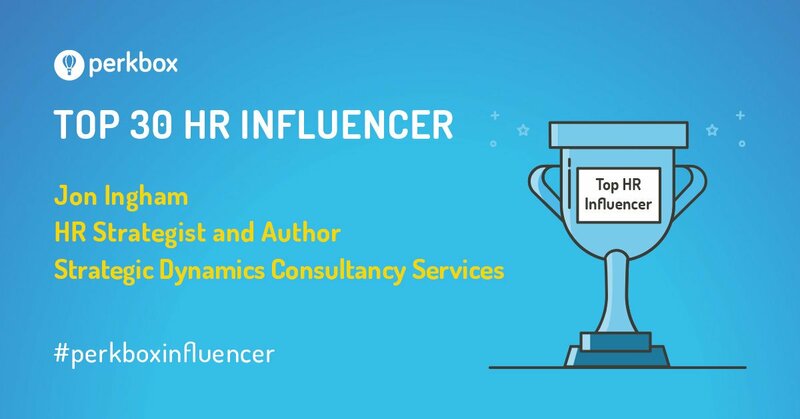 "An important, realistic and frequently inspirational book that implores HR to do things differently - and isn't afraid to show it how." You can buy your own copy here, or at Amazon etc. 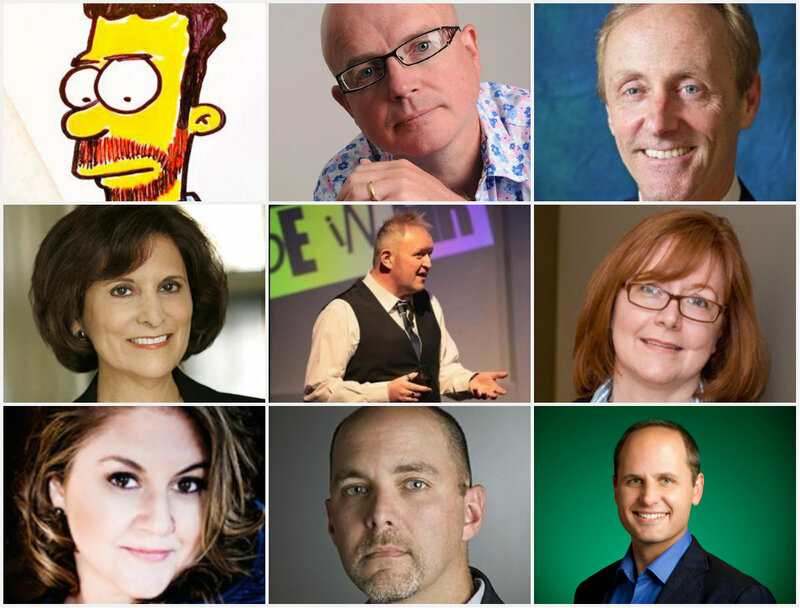 Thanks to CoreHR for including me in their list of 9 Influential HR Leaders You Should Follow on Twitter. 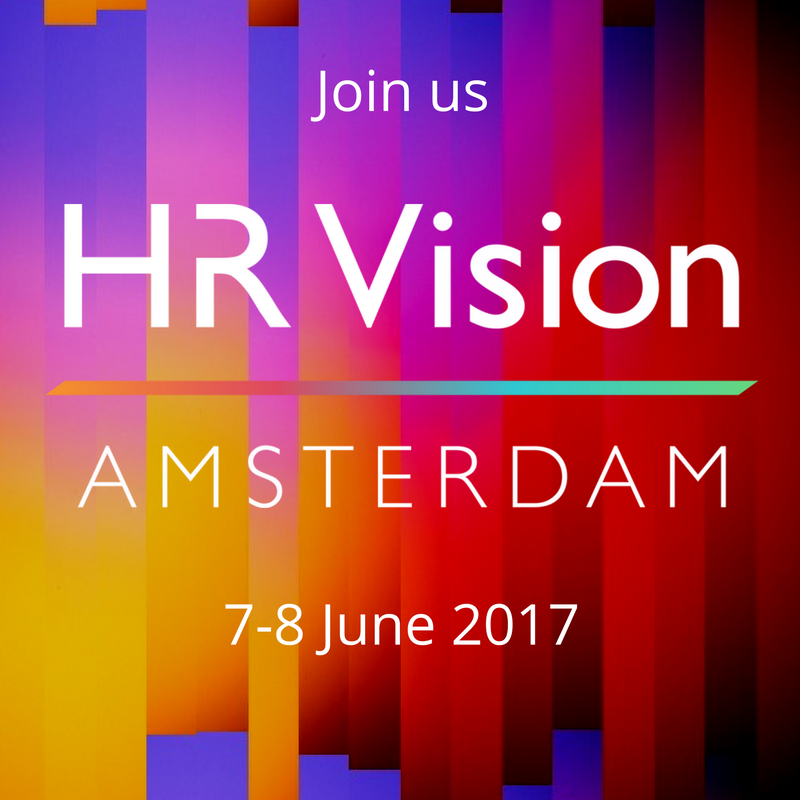 Two sessions at HR Vision focused on the Ulrich model and how this may now be being updated. First up was Xavier Savigny from Bureau Veritas in a session titled 'Get ready for the future, and how to divorce from Dave'. 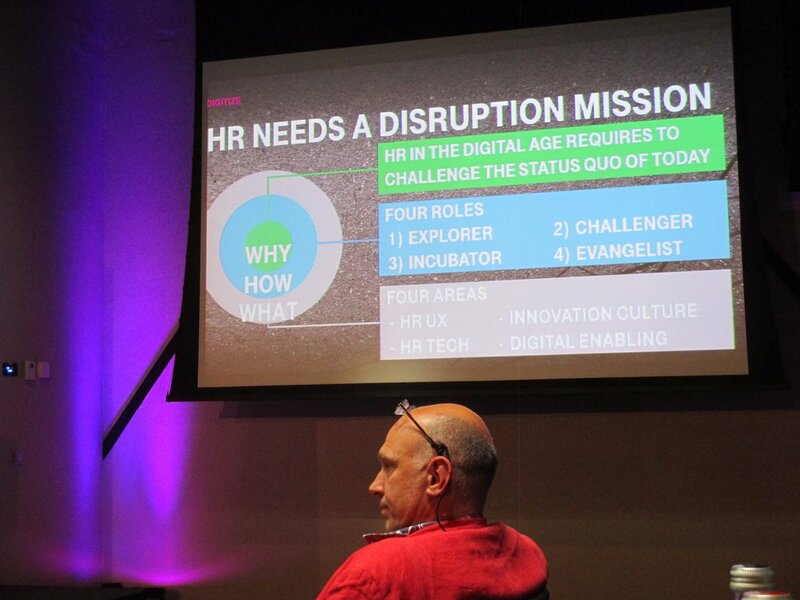 Xavier described a number of cultural changes required by HR (e.g. saying no but also offering a new solution). In terms of structure, Xavier suggested a change to Ulrich's three wedded stool, as shown above. Service centre advisors being replaced by a digital platform (RPA, AI, chatbots, etc). These are all useful and appropriate changes, though in a sense are a second honeymoon, rather than a divorce, e.g. specialists surely should always have been innovating? 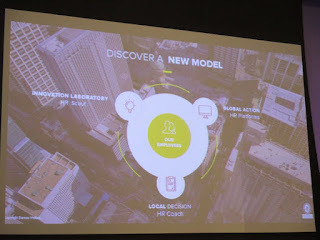 However, if nothing else, it'll be interesting to start calling HR's updated structure the fried egg model! (see the above picture). For Reza, the Ulrich model is too structured, hindering us by promoting structured thinking. 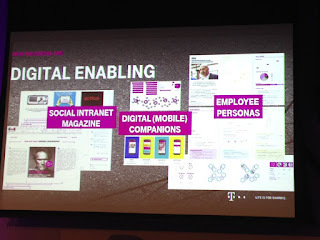 Deutsche Telekom have therefore installed disruption into HR through a digital and innovation unit. This tracks all the HR startups, has run an internal HR tech conference, and uses design thinking which it sees as the greatest enabler for change. Eg it has developed 21 personas representing DT's workforce. 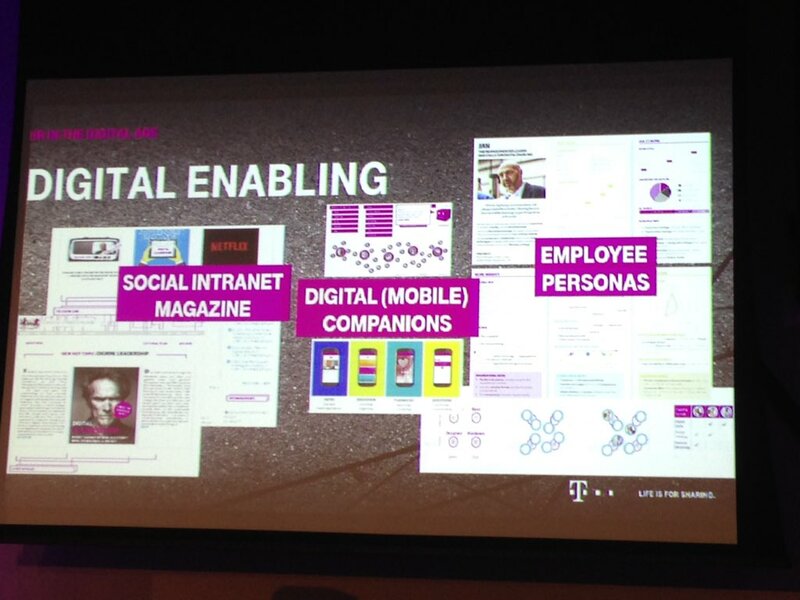 I was pleased to hear that, as I had suggested in my own keynote, HR is also responsible for digital collaboration. Once again these changes are interesting and appropriate, but again, not that significant. Ie they still support a three legged stool and once again, the type of innovation Reza has introduced is really only the sort of thing that the central policy team (the seat of the stool) should always have been doing. It's got me thinking - is this enough, or do we still need more radical transformation to the Ulrich model? More on this next week. 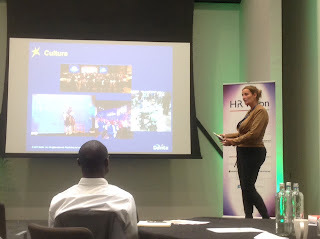 I had a great couple of days in Amsterdam at Osney Media's HR Vision conference last week where I did a keynote on moving focus from individuals to groups. 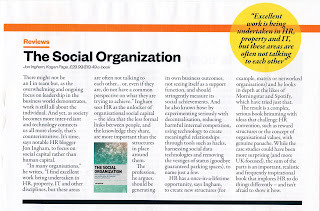 I described how most organisations have four main types of group, each of which need to be treated differently, which are hierarchical functions, horizontal project teams, networks and communities (from The Social Organisation). Organisations often prioritise one of these types of group as well and it was great to see a session from Gwen Burbidge from DaVita, which sees itself as a community first, and a company second. And yes, this means it does work differently from most other companies which are mainly based on hierarchical functions. Gwen, pictured above, also used the metaphor of a village several times, which I use in the Social Organization too. The company's CEO is called the major. The slide in the above picture provides a couple of snapshots of DaVita employees and cultural artefacts. For example, one is of the three musketeers, and their motto 'one for all and all for one' is frequently heard in the organisation. This isn't a small company though, it's a community of 70,000 team mates which is something quite special, I think. A lot of this comes from intentionality, i.e. the actions they take to make it a community. One of my favourite points is that everyone has their own favourite walk-on music! I'm not quite sure how this works but imagine their offices get quite noisy around 9, 1 and 5.00. The mayor often asks intentionally directed questions, for example what is it your parents taught you that you are still very grateful for, what should be be improving, and what was your DaVita crazy moment in the last six months? They also have start / stop / continue meetings, announced in advance so that introverts can prepare for them, and they often look for someone who knows about an area to lead these. All senior staff participate in reality days where they go and work at a clinic at 6.00am with the team mates working there. The purpose of all this is to create a place where people want to work (or a village they want to live in). The metaphor here is like it being a mix of air and water - they want to be profitable, but they know this needs them to be a good place for people. It's a terrifically impressive case study, and definitely the sort of organisation I'd love to work in, if I was ever going to again. In The Social Organization, I write about maverick organisations which manage their people completely differently from 99.999% of the world's businesses, and I'd definitely put DaVita in this list of companies. I was a little disappointed when I asked about how DaVita's HR processes are different as a consequence of them being a community, as there didn't seem to be any. That can't be a good choice. Although they have just implemented Workday which is probably a good fit. 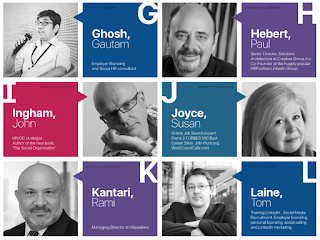 I've been interviewed on The Social Organization for the Enterprise Digital conference. 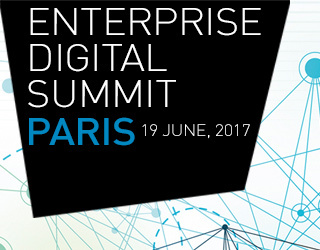 You can read the interview here: http://blog.enterprise-digital.net/2017/06/jon-ingham-hr-key-role-play-developing-digital-relationship-capabilities-behaviours-organisational-norms/. The book is available at www.koganpage.com/SocialOrganization. Use code AHRTSO20 for a 20% discount. 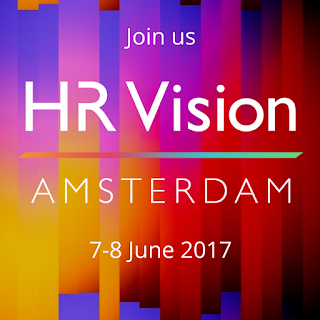 Next week I'll be speaking at HR Vision 17 in Amsterdam. 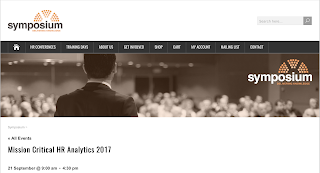 As always, trends from the past year will continue to play a part in forming 2017’s future. With an ever competitive working landscape, employers are continuously searching for ways to distinguish themselves as a top company to work for, and that comes down to culture. 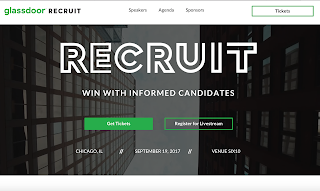 Ranging from health and wellbeing, both mental and physical, to organisational design, to fostering innovation, to creating a diverse and inclusive workplace, to developing social leaders, to being a learning organisation, no company wants to be left behind in securing the best possible candidates. The need to adopt a continuous innovation model will be critical to this in 2017. 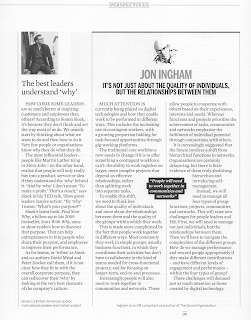 People have evolved to live in groups and our organisations succeed or fail based mainly upon group performance. However most of our management activities focus on individuals. Shifting focus requires us to incorporate new group structures and to align the design of HR processes as well as workplaces and social / digital technologies with these new groups. I will describe and provide examples of social organisations in which groups provide the basis for effectiveness and competitiveness. The session will also review the role of HR, working in cooperation with other social leaders, in facilitating changes in perspective and management practices. 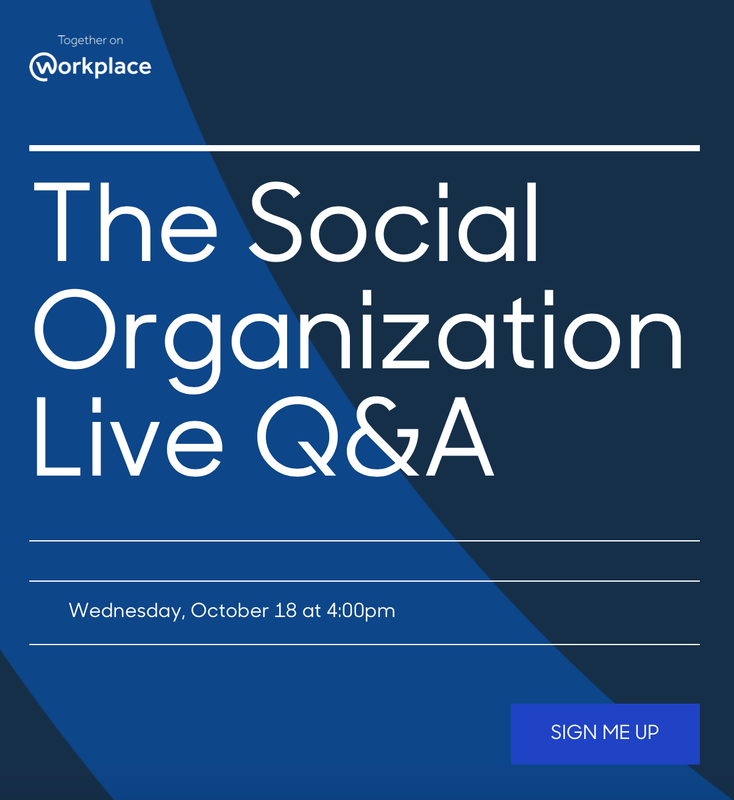 You will learn how to unleash the power of our social brains and social networks to transform organisational performance. Come and see me there if you can. Publisher Kogan Page have done a great job this year in having several stars from the world of HR blogging to write books for them. Andy Swann, The Human Workplace (in October). I'm aiming to read and post on all of these books and have already been reading another one, Exceptional Talent from Mervyn Dinnen and Matt Alder. 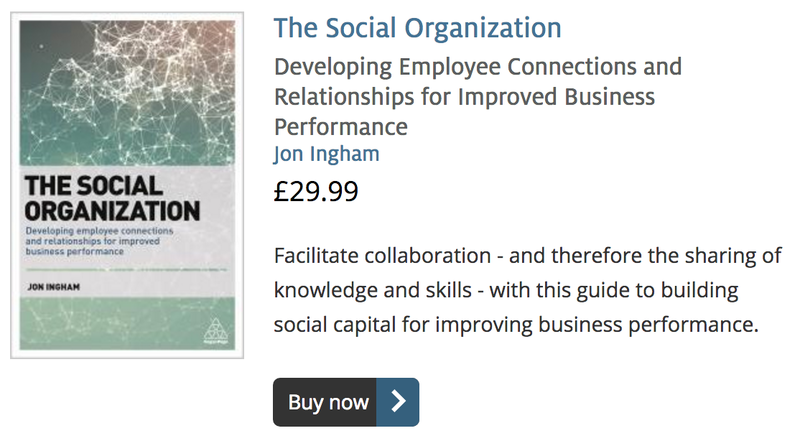 Despite the title this book focuses on talent management vs talent. That's probably a good thing and I completely agree with Matt and Mervyn that talent is an overused term. So despite the reference to 'exceptional', we 're not looking at a 'high-skilled, high-potential candidate who is in some ways special. Again I think that's useful. M&M suggest this can lead to poor recruitment practice and I'd have loved to hear some examples of this (the book has plenty of case studies of successful approaches - eg one of my recent clients, Bromford Housing - but it can also be useful (and often more fun) to learn from the disasters too. But for me, an even more important reason to avoid a focus on the special ones is that this is vital to create and retain an inclusive environment. 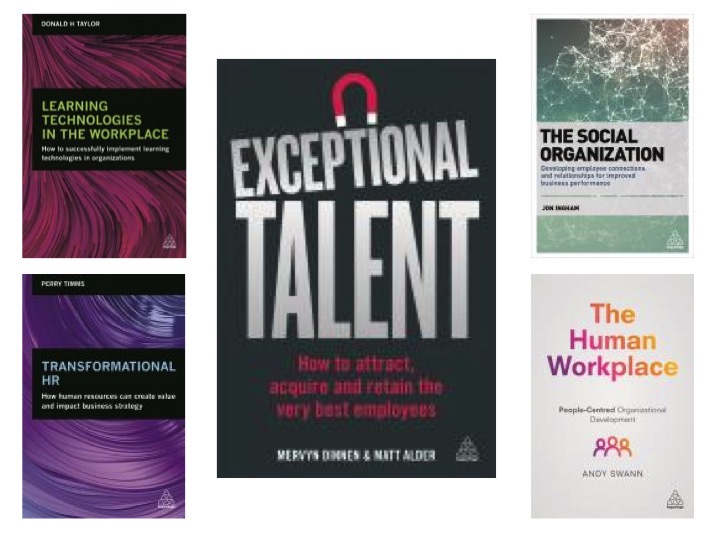 I'd also suggest that the book focuses more on talent engagement rather than capability eg there's a lot of great ideas on employer branding, talent attraction and the candidate experience. 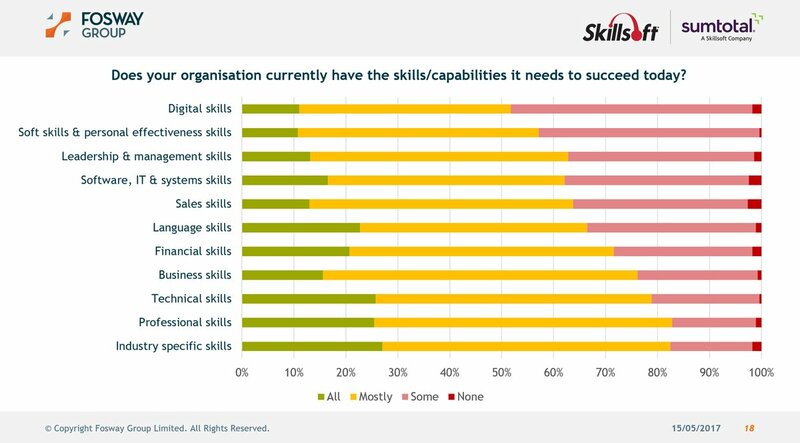 Most of this is about the new approaches open to organisations, and perhaps required for exceptional talent management, brought about by advances in technology. I spend quite a bit of time in this area myself but will need to do some further research into Workometry, Life Guides, Papirfly, Quesocial, Rolepoint, Social Referral, Lever, Greenhouse, 4MAT and Punchkick too. It doesn't deal with Google Jobs but that's just an indication of how quickly things are changing in the space, and therefore how important it is to try to keep up with them. However there's less focus on talent selection, where I think there's been a lot of innovation in technologies and other approaches too. But the biggest gap is talent reward. I'm not blaming M&M for this - as I've suggested previously reward is an area that as yet there's been little innovation taking place. That's going to change. Soon. 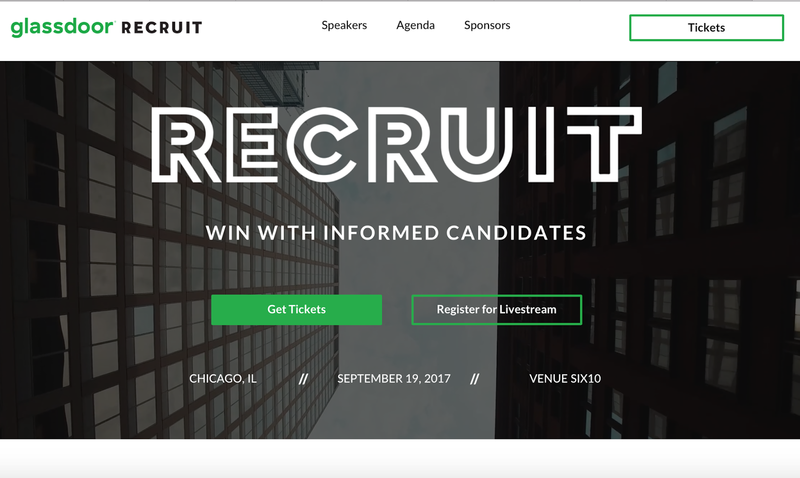 But it does cover talent onboarding, development, engagement, recognition and retention and again, makes a good case for why and how these need to change. I'd have liked to have seen more on the employee experience as well as the candidate one but in a sense, that's what the whole book is about. 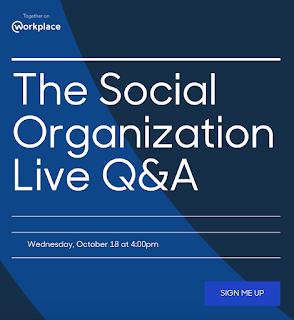 I really liked the sections on social graphs, social sharing and social proof, and if you do too, you should definitely check out The Social Organization. 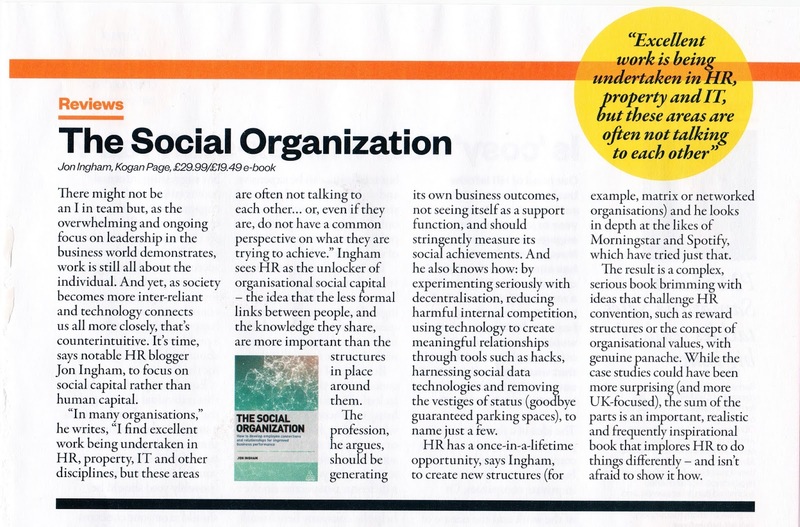 This also make some further suggestions for how talent management processes need to change to respond to the social and technological factors M&M describe. 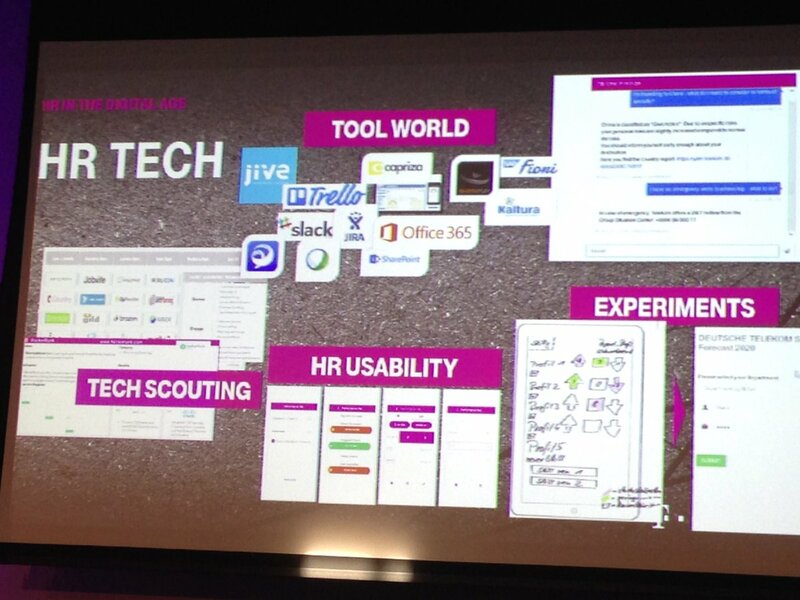 In summary, it's a great summary of the huge shift many organisations still need to make. Well, actually, I don't think any businesses have made it. But many have still to start. If that applies to you, you need to read this book so that you'll understand some of what you need to change. As an added incentive, this weekend (26, 27, 28, 29 May) you can get a 50% discount on all of the above books, and all of KP's back catalogue too. 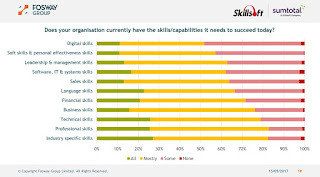 87% of HR practitioners see skills gaps continuing to increase. This includes soft skills just as much as it does digital. Leadership skills are seen as slightly less lacking, probably because the people completing the survey saw themselves as leaders. Learning will therefore continue to increase in importance, becoming the most important part of an employment value proposition. Most of the roundtable focused on the need for employees to learn more quickly, which I agree is a growing requirement. However I think a still deeper need is to learn more, and more deeply. To me that puts a focus on 'search to learn vs learn to retain' and the evolution of mini into micro and now nano-learning in some doubt. I'd have liked to have raised this point. Unfortunately, as it turned out, I wasn't there to participate in the roundtable at all but just to report on it (so I suppose I'd better do so). That led to my second main insight from the event which was a reinforcement of the importance of giving control of the learning agenda to the people wanting to learn, and involving them in steering their own learning process. Having a small group of people speaking and another group listening and asking a few questions at the end strikes me as rather bizarre in today's social world. The speaking group also talked quite a bit about the need to give HR credit for the learning that people do as this is not often recognised. Really? I think that as long as HR / Learning acts strategically and effectively it will get the credit it deserves. More metrics may help but they tend not to be the main cause of business concerns about learning, or a main way of dealing with them. 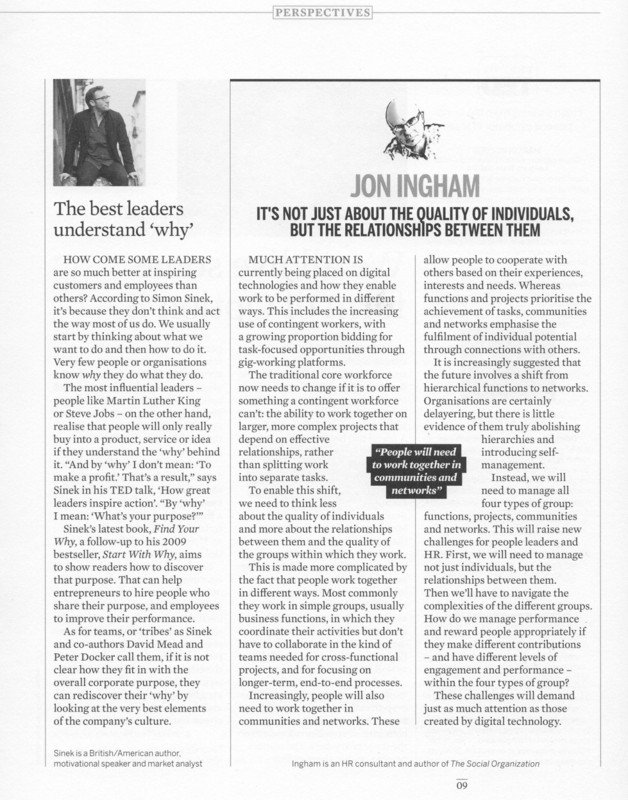 Learning and the rest of HR also need to be less siloed, which I completely agree with. However I disagree that using reward is the way to deal with it. Start with organisation design, linked performance objectives, whole group meetings - that will sort the problem in the vast majority of cases. There was nothing wrong with the research but I didn't enjoy my role in the session and so didn't hang around for much of the rest of the conference to see whether 'Percipio' would have much impact on any of the above, but the Twitter stream looked quite positive.